Yarnbi has raised the standard for energetic pets. 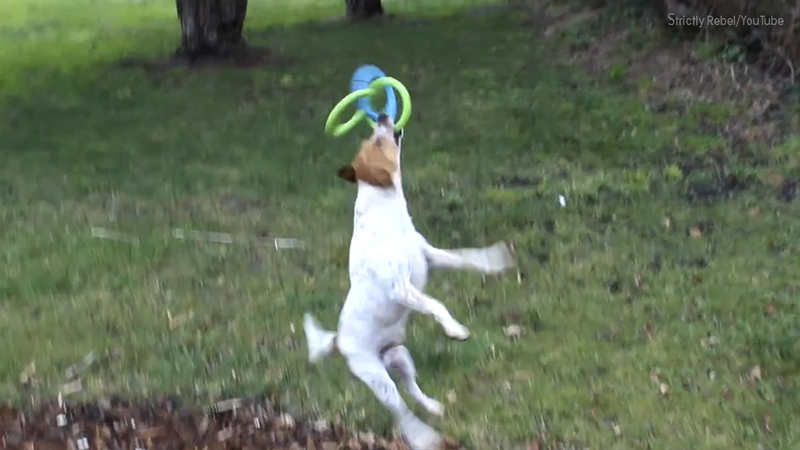 The bouncy Jack Russell Terrier spends hours playing fetch and amusing himself with toys. His owner recently bought him invincible rings he says Yarnbi is particularly fond of. The owner managed to record his playful pet fetching his new toy.